The AC312 is a 4 ton twin-turbine civil variant of the Harbin H425. With side by side seating arrangement, the cabin layout is [2 pilot + 12 pax]. 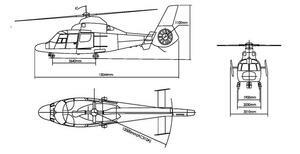 In air medical service, the cabin layout may be [1-2 pilot + 4 stretchers + 1 med] or [1-2 pilot + 2 stretchers + 4 meds]. 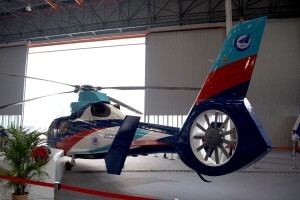 The AC312 is operated with either AVIC ENGINE WZ-8, or TURBOMECA Arriel 2C powerplants. 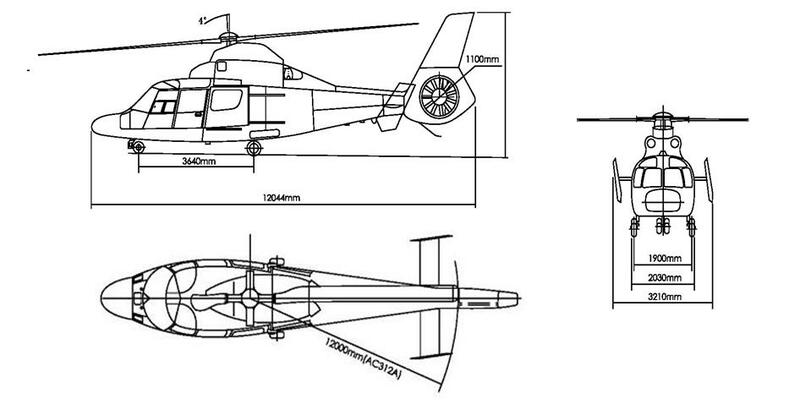 Avicopter's AC312 obtained CAAC Type Certificate and Production Certificate, and passed the evaluation conducted by Aircraft Evaluation Group (AEG). Maximum internal and external payloads are 1590 kg and 907 kg, respectively. The maximum fuel weight is 915 kg. Resources related to the AC312 , provided by the Vertical Flight Society. Resources related to the AC312 , provided by public sources across the internet.